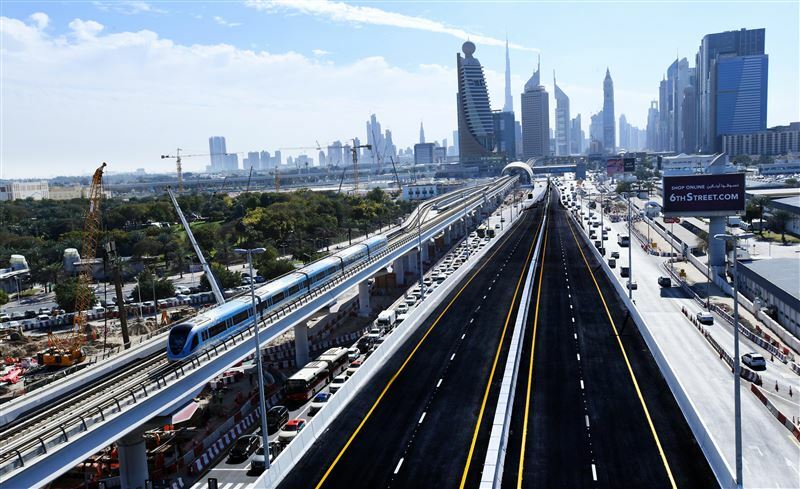 DUBAI, 3rd February, 2018 (WAM) -- The Roads and Transport Authority, RTA, on Saturday opened two major bridges as part of the improvement plan of Sheikh Rashid-Sheikh Khalifa bin Zayed street intersection. 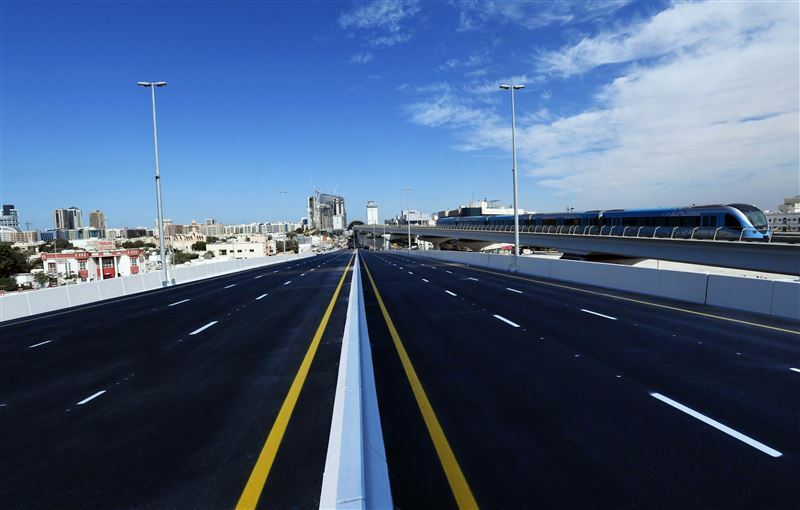 The first bridge on Sheikh Khalifa bin Zayed Street comprises two lanes in each direction, and the second is a one-lane bridge stretching from Za’abeel Street towards Sheikh Rashid Street. The opening of the two bridges will ease the traffic movement heading to Al Karama and the World Trade Centre junction in the direction of Sheikh Zayed Road. The tunnel is expected to be opened in both directions (Al Garhoud and Mina Rashid) in Q2 of 2018. Mattar Al Tayer, Director-General and Chairman of the Board of Executive Directors of RTA, said, "The intersection of Sheikh Rashid and Sheikh Khalifa bin Zayed streets is a key part of a big project for improving Al Shandagha Roads Network. The project is located at the intersection of Sheikh Rashid Street in the direction of the northern end of Al Shandagha Network, and Sheikh Khalifa bin Zayed Street in the direction of the intersection with Al Kuwait Street. "The project is part of RTA’s master plan for the improvement of roads, bridges, crossings and underpasses to accommodate the growing traffic volumes, and ease the traffic movement in all parts of Dubai. It is also part of the overall efforts to implement RTA’s strategic plan for upgrading roads and transport infrastructure in Dubai. The objective is to develop integrated solutions of roads and marine network that are safe for users, capable of matching to the development plans and demographic growth and encouraging the development and investment in Dubai. "The project includes the construction of a bridge on Sheikh Khalifa bin Zayed Street, a tunnel on Sheikh Rashid Street, and a bridge on Za’abeel Street in the direction of Sheikh Rashid Street. The objective of such works is to ensure a free traffic movement from the Trade Centre R/A to the intersection of Sheikh Khalifa bin Zayed Street and Al Kuwait Street through a two-lane bridge in each direction. 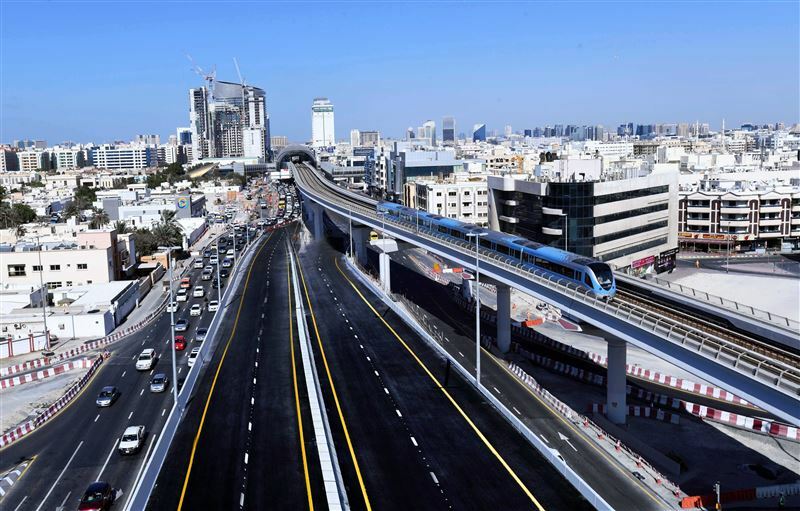 "The project also entails the construction of a tunnel of four lanes in each direction on the Sheikh Rashid Street in the direction of the intersection with Al Mankhool Street and a signalised junction under the bridge to provide free turns from main roads to subsidiary roads. The bridge has a one-directional ramp stretching from Umm Hurair Street to Sheikh Rashid Street. It also includes lighting, pavement, irrigation, sewage, storm-water drainage works as well as the shifting of utility lines such as electricity, water and telecommunication," Al Tayer added.